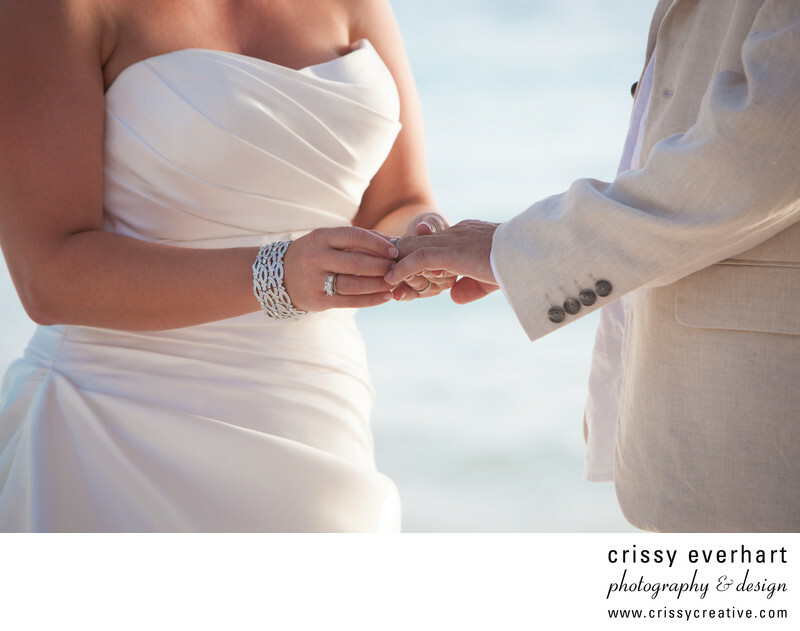 Close up of the bride and groom's hands as the bride places the wedding band on her groom's finger during this destination wedding in Aruba. The ceremony and reception were held at Renaissance Island, a private island owned by the Renaissance Aruba Resort & Casino. Location: L.G. Smith Blvd 82, Oranjestad, Aruba.